If you have taken our online LASIK self-evaluation test and are curious to speak with a member of our staff about LASIK, congratulations – you’re one step closer to clear vision! Your next step is your LASIK evaluation. Here is a breakdown of what to expect during your LASIK evaluation with Ellis Eye & Laser Medical Center. If you are a hard contact lens wearer we suggest you do not wear them during the week prior to your exam. Soft lens wearers should not wear their lenses for one to two days prior to their exam. When you arrive at our office, you will be given a contact sheet to fill out. When you have completed your encounter form, hand it to our receptionist. Sit down, and make yourself comfortable. 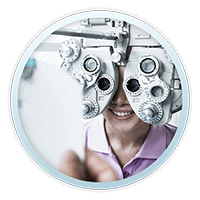 Our optometrist and technician will soon be with you! Your examination will begin with a complete evaluation of your eyes. Your visual acuities will be measured with and without eyeglasses. A refraction of your eyes will be performed first with the eyes undialated and later mydriatic drops will be placed in the eyes to dilate the pupils. A dilated examination allows us to most accurately ascertain your refractive errors and facilitates the visualization of the tissues and structures within the eye. You will be examined for cataract and diseases of the retina. The retina is composed of the photoreceptors which detect the light in the image focused upon them. We will also examine your cornea – The outermost surface of the eye, through which you see, and is the principal refracting surface of the eye. The status of the tear film layer which covers the surface of the cornea is important to ocular health. If dry eye is present due to insufficient tear production, artificial tear drops, punctum plugs, or Restasis eye drops may be prescribed. EyeSys Corneal Topography. A topographical map will be constructed of the front surface of the cornea by shining multiple placebo disk mires on the cornea. A mathematical analysis of the spacing between mires will be used by the computer to draw a three-dimensional picture of your cornea. Goldman Tonometry will be evaluated to determine the intraocular pressure within your eyes to rule out glaucoma. 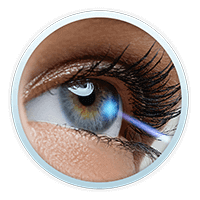 An Orbscan of the cornea will measure the curvatures of both the front and back surfaces of the cornea and will also measure the thickness of your cornea. 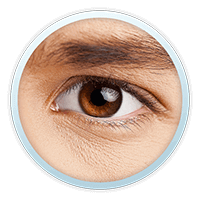 Candidates for LASIK must have enough tissue for the LASIK procedure. If there is insufficient corneal tissue present for your degree of myopia or astigmatism, PRK or Advanced Surface Ablation may be the procedure of choice. 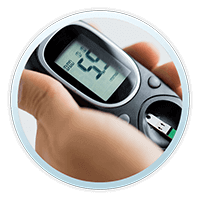 The Zywave Aberrometer will be used to measure the wavefront pattern of the refractive media of your eyes. Specifically, the Aberrometer will detect higher order optical aberrations which degrade the quality of vision especially at night and can be responsible for glare and halos in the vision. Thanks to modern technology Zyoptix laser vision correction can reduce or eliminate these higher order visual distortions, and in some cases improve the vision beyond 20/20. Certain time intervals during pregnancy. Your patient counselor will confer with our doctors and determine if you are a candidate for LASIK or other refractive procedures. 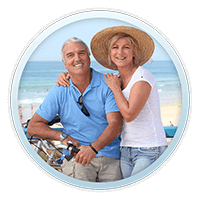 The counselor will also assist you in determining the best procedure for you. She will explain the pros and cons of each procedure, as well as the risks and complications. Your surgeon is not required to explain risks that are extremely remote or those that become known at a later time. Your surgeon will provide you with information, such as pamphlets and research, that can help you to decide whether or not to undergo the procedure. Your patient counselor, Dr. Ellis, and other staff members are also available for any additional questions. Your counselor will tell you what to expect on the day of surgery, and about the postoperative recovery course. She will tell you about medications you will need to take and help to call in any prescriptions to your pharmacist. Your patient counselor will find the very best financing and payment plan for your specific needs. 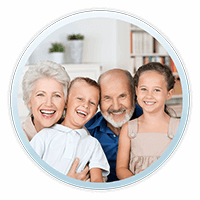 We work closely with many sources of patient financing such as CareCredit and can tailor specific programs, including those with delayed payments, so that refractive eye surgery will be affordable and within your ability to pay.A small deposit will be required when you schedule your procedure in order to hold your place. Your surgery must be fully paid for by the day of surgery or alternatively, your financing plan must have been approved. A small deposit will be required when you schedule your procedure in order to hold your place. Your surgery must be fully paid for by the day of surgery or alternatively, your financing plan must have been approved. Contact lens wear should be stopped at least 3 days prior to surgery if soft lenses have been worn and longer for hard lenses or semipermeable lenses. Please arrange for transportation home on the day of surgery as you should not drive home yourself. Most LASIK patients are able to drive themselves the following day for the one-day post-operative visit, but only if you feel that your vision is okay. Following the EpiLasik and PRK procedures, you will not be able to drive for at least 5 days. At the time of your postoperative visits, your doctor will advise you when healing has been sufficient to allow you to drive. Please arrange for time off from work for your procedure. Our doctors will be happy to provide medical excuses for your employer if necessary. Do not wear eye makeup on the day of surgery. Particles of mascara can lodge under the LASIK flap. Do not use perfumes or after shave lotions on the day of surgery. Vapors from these can interfere with the laser beam and be harmful to the optics of the laser. There are usually no restrictions on eating or taking medications on the day of surgery, but please advise us as to any medicines you are taking. Postoperative visits are usually on the first day following surgery, 1 week post-op, 1 month post-op, and the second or third month as well. In order to ensure a semi-sterile environment, you will put on a surgical gown prior to entering the laser room. The nurse will take your vital signs and enter them into your surgical chart. Prior to the procedure, Dr. Ellis will spend time with you to go over your proposed treatment and to answer any further questions that you may have. When you are ready, you will be given an oral tablet such as Valium to relax you. You will be taken into the laser room and lie down on a flat bed under the laser. The area around your eyes will be washed with an alcohol sponge and a sterile towel will be used to drape off the periocular area. Numbing drops will be placed in the eye and a small eyelid speculum will be positioned to hold the lids open. It is important not to squeeze the eyelids over the speculum since oil from the eyelash follicles can be released and can cause post-operative inflammation. Relax, and open both eyes. There will be no pain or discomfort with the procedure. At the appropriate time, the microkeratome will be placed to create the LASIK flap. There will be pressure, but no pain. The vision in the eye will be gone for a second or two and then will return when the device is removed. It will take about 5 to 10 seconds to make the flap. Dr. Ellis will fold the flap back and the excimer laser will be used to perform the optical correction. Be sure to keep both eyes open and look at the red aiming beam under the laser. After the treatment is finished Dr. Ellis will reposition and dry the flap with oxygen. The lid speculum will be removed and you will follow the nurse to the post-op area where Dr. Ellis will again examine the eyes. You will be sent home with your medications, which will include antibiotic and anti-inflammatory drops, and sleeping and pain pills. Although there is no pain during the laser procedure after the topical anesthetic drops wear off there will be mild discomfort with the LASIK procedure for the first post-op day. Be careful not to rub your eyes and do not put any pressure on them or sleep on them on the first day. Your first postoperative visit will be mandatory on the first post-op day. LASIK patients generally see well enough to drive to the office, however, if your vision is still blurred do not drive. Usually, it will clear in 1-2 days, but it can sometimes take longer. You will use antibiotic and corticosteroid anti-inflammatory drops for several days or weeks. Generally, the antibiotic is stopped after the first day and anti-inflammatory drops after several weeks. Dr. Ellis will change your medications as needed.